November Update with Our Concert/Auction Results! Our latest update on LLTW happenings! Greetings from Love Lights the Way! Thanksgiving is approaching us, believe it or not! We have so much to be thankful for! Our fundraising has gone very well this year, our concert was a huge hit, Ebola is on the decline in Liberia and we've met so many great and wonderful new supporters of our cause to build our mission campus, Lighthouse Village. Our Auction and Concert on Sunday Sept. 28th was a big success! We raised a total of $3,591! Thank you so much to our performers, those who donated to our auction, our volunteers, our lifters and everyone who came! We plan to make this an annual event, so stayed tuned for details about our next one! Check out pictures from the event here: Concert/Auction Gallery. Videos to come soon! LLTW is putting together a new volunteer team! Do you want to team up with others who care about making a difference in Liberia? Do you have any good ideas about how to make LLTW more successful in spreading news of our mission or raising funds? We will be holding regular, optional meetings and we have a special volunteer website so you can see all of the tasks that need to be done, sign up for them and even come up with some new ones if you'd like! We have some super easy tasks like coin counting or brochure folding and some more creative and complex tasks like poster designing or facebook post writing. 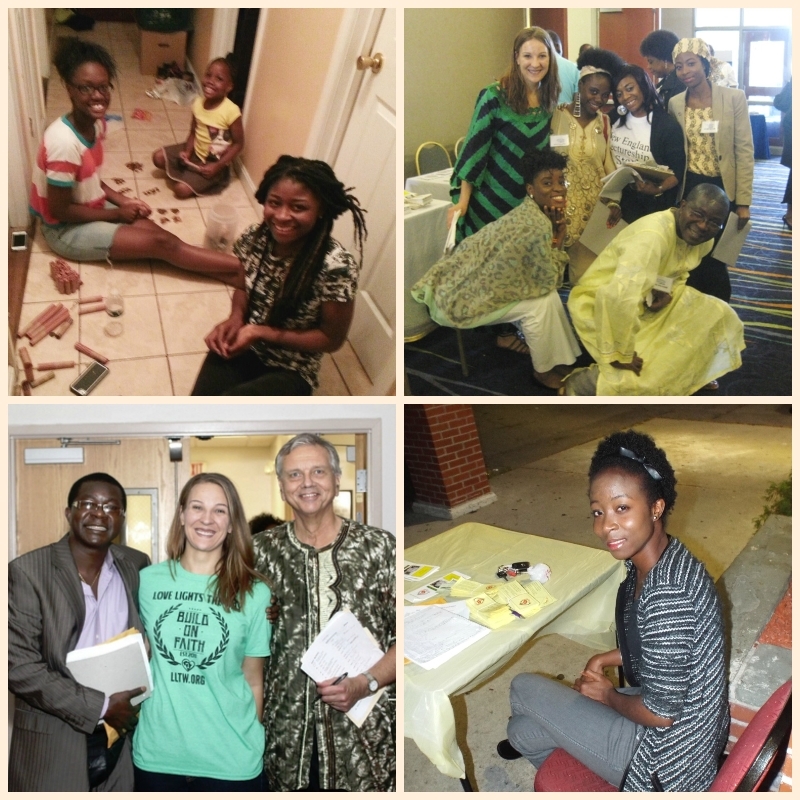 You can be a local volunteer or help from far away! We'd love to see you on the team! 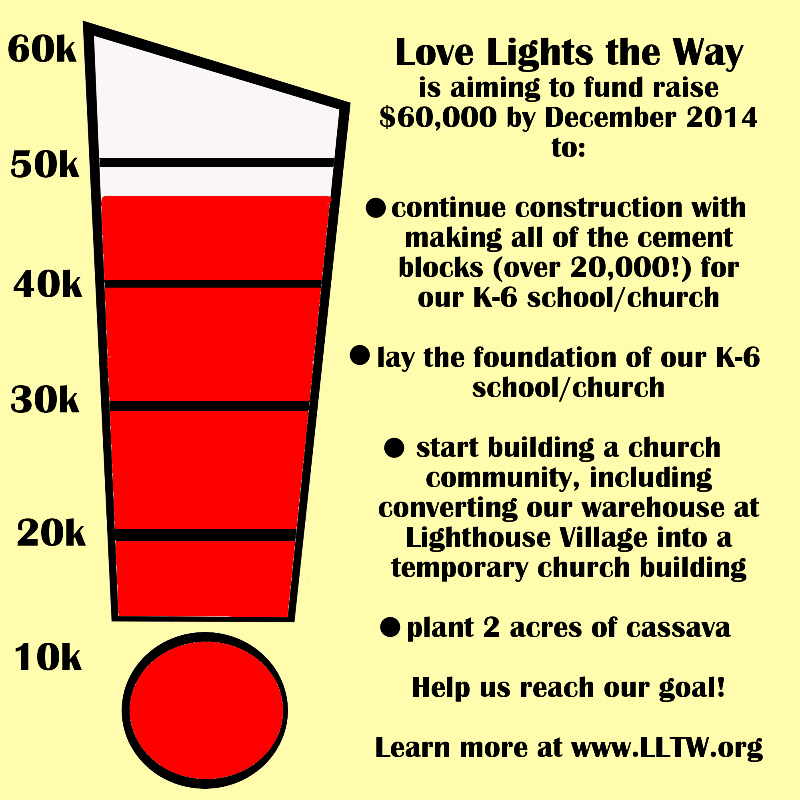 Email LScharp@lovelightstheway.org to get involved! Our fundraising status is currently at approximately $47,000! Thank you so much to everyone who has donated this year! Much of these funds have come from church congregations who have allowed us to share with them our mission and taken collections for our cause, from our board and advisory panel members, from our concert and auction and friends of LLTW who donate with one-time donations sent as checks, done through our website or through automatic recurring billing. To every single person who has donated, THANK YOU!! As 2014 is coming to a close, please help us to reach our fundraising goal mentioned above. Consider making a donation as a holiday gift for a loved one. Remember that all donations are tax deductible. To deduct from your 2014 taxes, you must make your donation before the end of the year! To learn more about donating or to donate online, check out our online giving page: www.lovelightstheway.org/donate. We can only do our work with help from people like you! 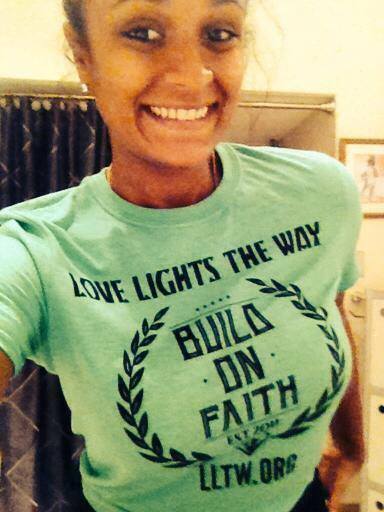 Love Lights the Way now has t-shirts!!! You can check them out on our website. Shirts are 15$ in person, or 20$ online with free shipping! They would make EXCELLENT Christmas gifts! Give the gift of a super soft, pre-shrunk, stylish shirt for a a great cause! If you are local and you'd like to get your t-shirt in person, email LScharp@lovelightstheway.org and we'll make sure you get one! Our first annual AP dinner was held Nov 2nd. This was our chance to thank our AP members (read more below to find out what that means!) and let them know how big of an impact they are having. 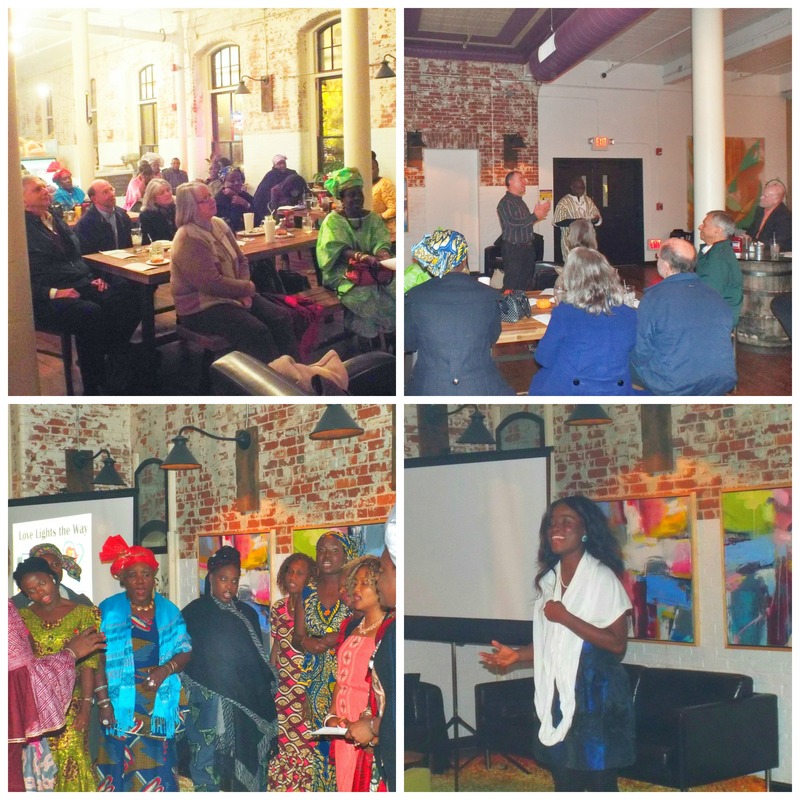 What a great time of fellowship, music, delicious food (at the Bread Lab in Pawtucket!) and encouragement for our cause. Want to come next year? Join the AP!!! Please continue to pray for the containment and eradication of the Ebola virus that is ravaging West Africa, including Liberia. Conditions are improving in Liberia!! PRAISE THE LORD!! There are more ETU (Ebola Treatment Unit) bed vacancies and ambulances are reporting less requests for body pick ups. This is WONDERFUL news. Unfortunately the economy and food situation is still struggling and we pray that God would take care of our Liberian brothers and sisters and bring this sad and devastating period to an end. LLTW has just approved to send $2,500 to the Fendell area to provide food to the community surrounding our campus. More info to come! Extra special thanks to our 20 AP donors who contribute 50$ every month! 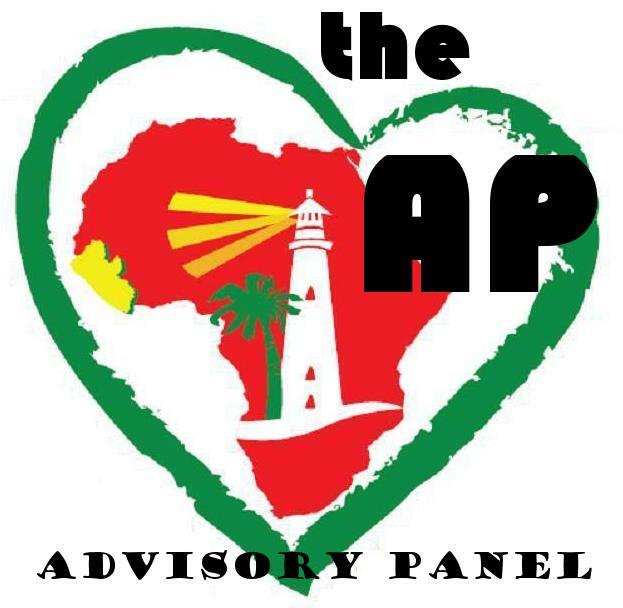 If you wish to join this awesome, supportive group, learn more about the Advisory Panel here. You can set up to have the 50$ automatically withdrawn from you bank account using our online giving system or our donor form. Email Laurie at LScharp@lovelightstheway.org if you have more questions about the AP. for your support and prayers! Copyright © 2014. Love Lights the Way Foundation. All rights reserved. www.LLTW.org Like us on Facebook!